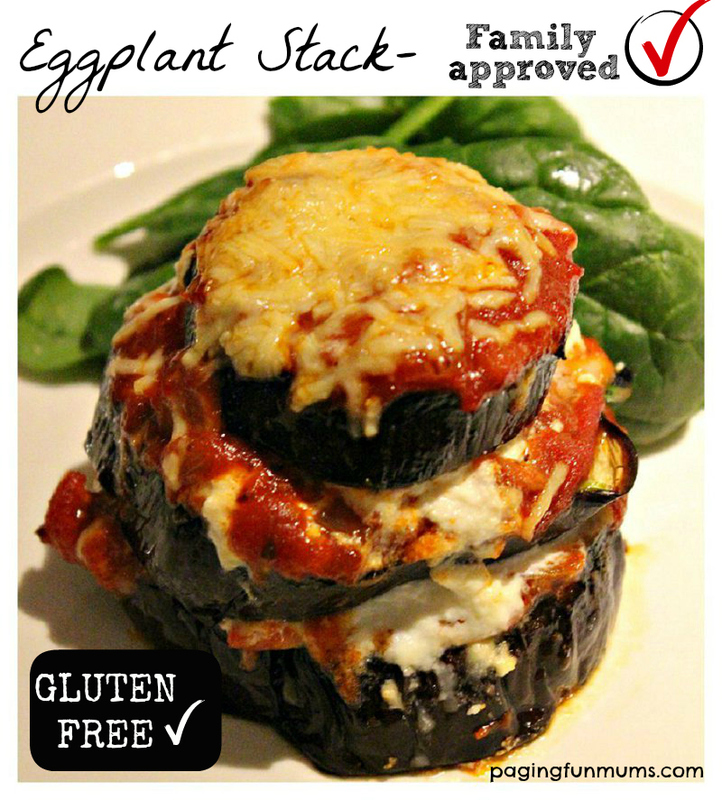 Eggplant Stack = Yummy Family Friendly Meal! 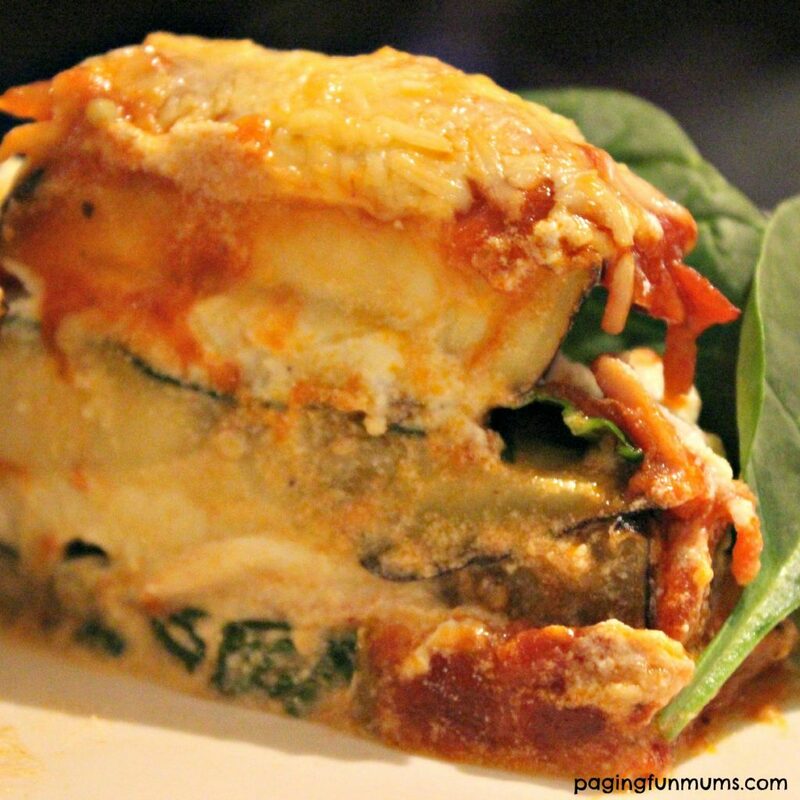 Eggplant Stack = Yummy Family Meal! 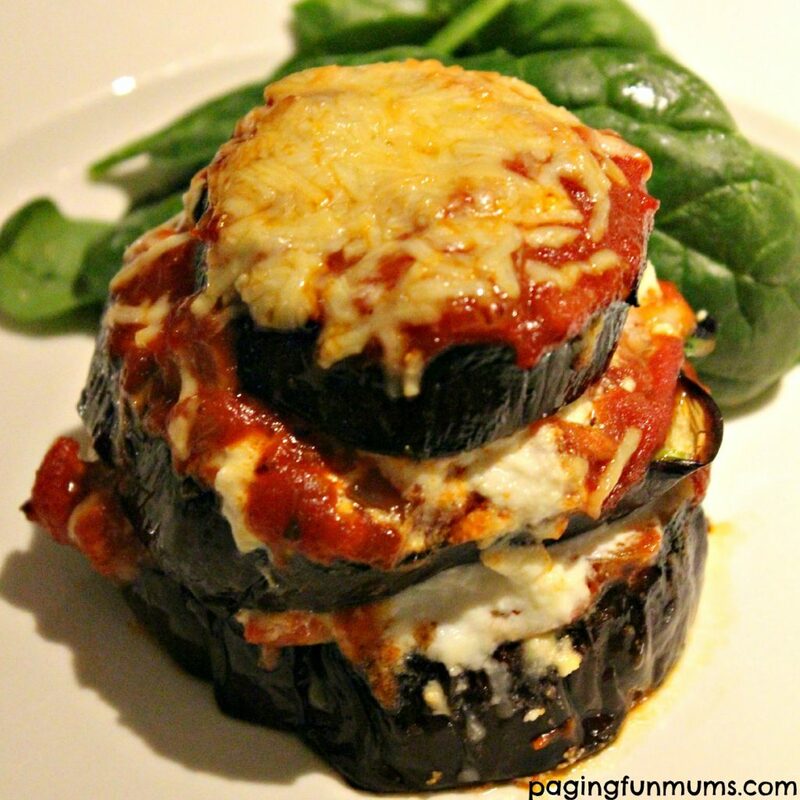 This Eggplant Stack is such a Yummy Family Meal! Gluten Free and Vegetarian!! We are fortunate to have a close family member who grows the BEST Eggplants that we’ve ever eaten! 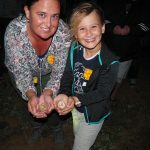 I’m always testing out new ways to cook them up…especially new ways that Miss 5 and Master 2 will enjoy eating too! This is a simple and easy recipe that you can make using your own Homemade Pasta Sauce or the store bought variety. Simply cut your eggplant into inch thick round pieces, sprinkle with salt and leave to rest while you prep the other ingredients (this will remove the excess moisture as seen here). 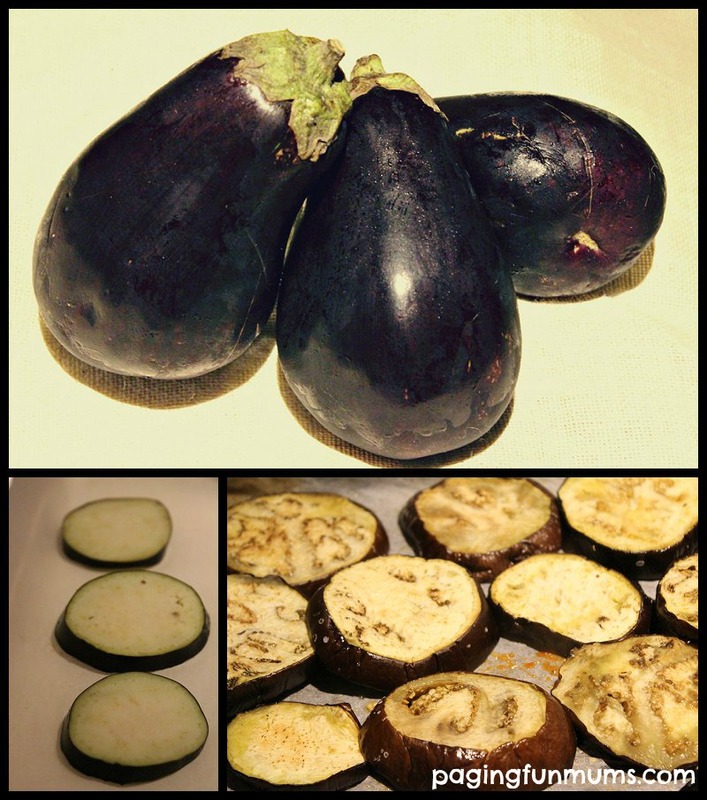 Rinse, dry & bake the Eggplant for 15 minutes on moderate-high heat (190 degrees Celsius in a fan forced oven). Gather all other ingredients, or make your Homemade Pasta Sauce like our favourite one listed here. Once the eggplant is cooked tender you can start the stacking process. Start with one larger sized slice of eggplant and layer some fresh spinach on top, then cover with a couple of tablespoons of pasta sauce, add one heaped tablespoon of Ricotta Cheese and sprinkle some parmesan cheese before repeating with a smaller sized slice of eggplant. We made our stacks three ‘eggplants’ high *as pictured below. Then return to the oven on high for aprox 10 mins or until the cheese has gone golden brown on top. We served ours with some more fresh baby spinach leaves. 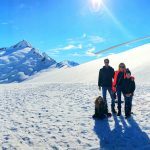 This is a super YUMMY and warming recipe that both my kids and husband enjoyed – I hope you enjoy it too! For more delicious recipes that your kids will love, head on over to our ‘Cooking with Kids’ section!